Toytravel (Nui-dori) is the art of toy photography where toys imitate life. The social photographers like us will inject our creativity and fun into everyday adventures with a chosen toy or figurine – from a figurine in a bowl of cereal, to a stuffed toy strapped in an airline seat, the possibilities are hilarious and endless. Follow Rilakkuma’s adventure with the EOS M10 on this space and stand a chance to bring home your very own EOS M10 camera along with a Rilakkuma plush doll! 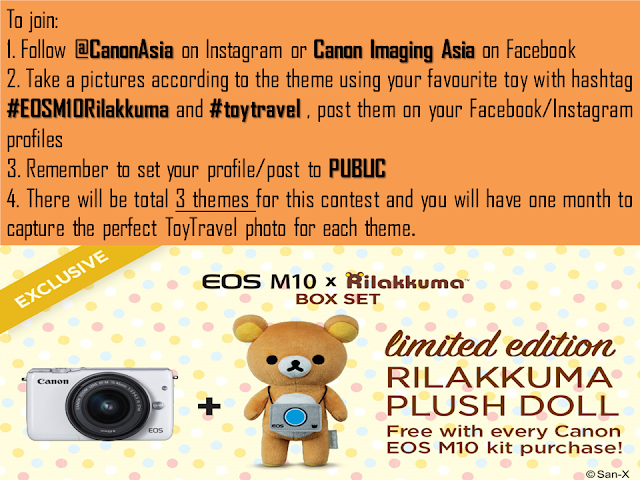 Canon has launched a ToyTravel Photo Challenge with different theme. so fun oh u all at the event!! 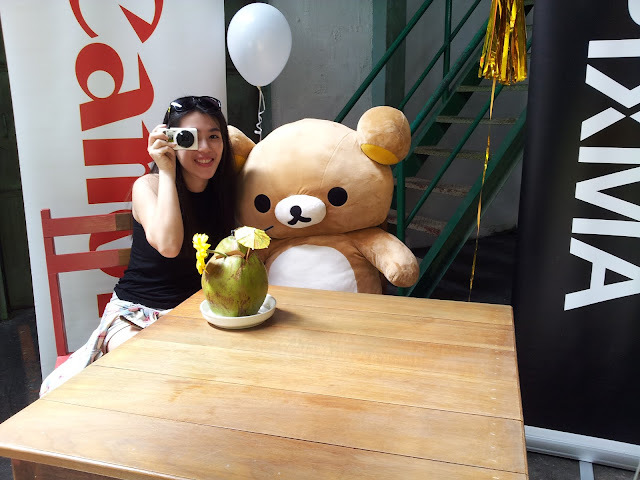 I want my own rilakkuma.. T.T ughghhhhh... oh well, heheheh do you bring your camera around dear? Rilakkuma is so cute... I like canon camera.. Quality and can snap nice photos..